Well how's that for a headline? 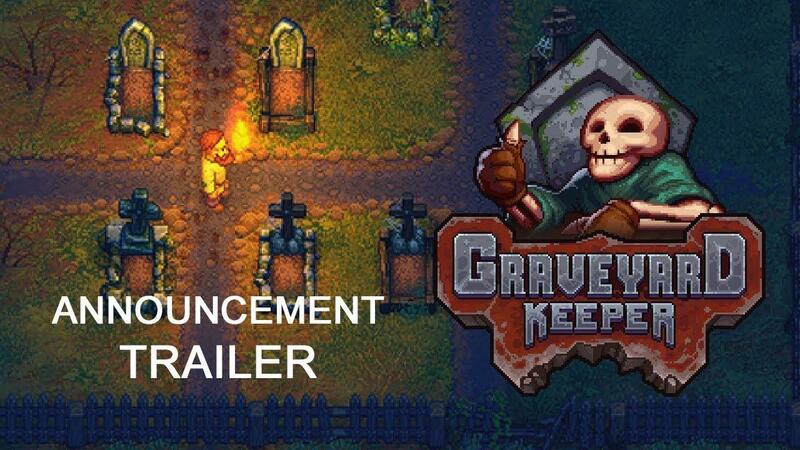 Lazy Bear Games (who developed Punch Club) & tinyBuild have announced their latest game called Graveyard Keeper [Steam, Official Site] and it sounds highly amusing. It's due sometime this summer with no firm date set yet, but I'm excited. While it doesn't specifically mention Linux in the trailer and it only says PC on the website, their Steam widget on the site has a Linux icon and there is already a section open for Linux & SteamOS system requirements on Steam so it's a good sign. I have reached out to the publisher and developer for 100% confirmation of this. I gravely appreciate developers who make games like this. Sorry, couldn't help myself. Thanks for the Tweet HardPenguin! Quote I gravely appreciate developers who make games like this. it's unique that's the main reason I like indie games. plus all the old school elements mixed with new style gameplay is really fun to me. neowiz73 it's unique that's the main reason I like indie games. plus all the old school elements mixed with new style gameplay is really fun to me. It's not just the new style gameplay here, you also get (relatively) modern lighting and fog effects in your pixel graphics. Something that could never be done in the actual pixel graphics days. I find that an interesting combination. some story elements I've seen would not have even been considered 25 - 30 years ago. There's a reason why games back then like "Hero's Quest"(Quest for Glory after the lawsuit) and Leisure Suit Larry were such cult classics. I really like Steam and GoG, etc... for the fact we can get more unique games that are willing to break the paradigm of cliches. I don't care for remakes of old games all that much. But it's nice to see ones that take an older idea and make it fresh again. The pixel art looks very good, though lack of DRM-free version is annoying. It looks like they put Geralt in the trailer in the beginning (note the wolf medallion that monster grabs). Definatley the best article title i have seen in a while. Need linux and mobile version please. Shmerl The pixel art looks very good, though lack of DRM-free version is annoying. Punch Club is on GOG so there is hope. Ehvis It's not just the new style gameplay here, you also get (relatively) modern lighting and fog effects in your pixel graphics. Something that could never be done in the actual pixel graphics days. I find that an interesting combination. I noticed that two, look at how cool the water is animated (like four animation layers for the river), and how cool the lighting looks on the flying bat.